Significant ecological linkages and potential linkages. Locally significant natural areas to be protected in Local Biodiversity Strategies and Planning Schemes. 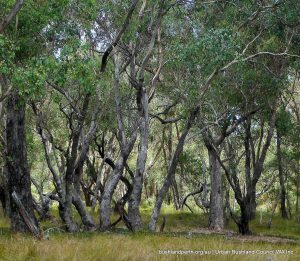 Introduced by the State Government in December 2000, Bush Forever is the whole of government strategic plan to protect some 51,200 hectares of regionally significant bushland in 287 Bush Forever sites on the Swan Coastal Plain portion of the Perth Metropolitan Region. It seeks to represent at least 10% of each of the original Heddle vegetation complexes where more than 10% currently remains. Seven complexes had less than 10% remaining in the year 2000. These are mainly on the eastern side of the Swan Coastal Plain which was historically highly cleared. In three other complexes, 10% was not achieved due to existing approvals and commitments. Bush Forever sites amount to just 18% of the original vegetation of the area. 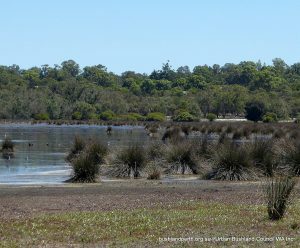 Bush Forever seeks to establish a ‘CAR’ (Comprehensive, Adequate and Representative) conservation reserve system of protected areas under the Government’s commitment to the 1996 National Strategy for the Conservation of Australia’s Biological Diversity for the Swan Coastal Plain portion of the Perth Metropolitan Region. Bush Forever (December 2000) is fully documented in 2 Volumes: Volume 1 with comprehensive Policies, Principles and Processes as well as 83 maps showing all remnant native vegetation, the 287 Bush Forever sites, Conservation Category Wetlands (CCW), and streams, all superimposed on cadastre. Maps of Heddle vegetation complexes, MRS zones, all wetland systems, Perth’s Greenways are also included in Volume 1. Volume 2 is the comprehensive Directory of all the Bush Forever sites, with detailed biodiversity descriptions. Bush Forever recognises the importance of retaining and protecting local natural areas as part of the network to protect biodiversity values in a fragmented landscape. These local bushland patches of all sizes and their linkages to the network of larger Bush Forever sites are essential to provide for seasonal movement of fauna and invertebrate pollinators and as refugia for recolonisers after fire and extreme weather events. The network of Bush Forever Areas will not retain their unique biodiversity values if they are isolated. Linkages need to be retained and restored at the local level. Therefore it is essential that all Local Government Authorities prepare and implement their Local Biodiversity Strategies according to endorsed methodology. Only the Shire of Mundaring has completed the process with their Local Biodiversity Strategy included in their Local Planning Strategy and Scheme.